Renessence revitalizes aging and thinning hair as the hair follicle evolves through the phases of the growth life. Our shampoo, conditioner, and serum are formulated with a proprietary blend of peptides, vitamins and nutrients that specifically address each phase while helping to prevent hair loss. 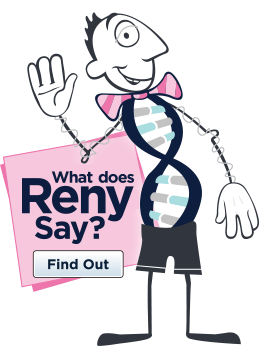 The follicular growth phase, known as anagen, typically occurs 85% of the time with steady growth. The remaining 15% enter a 2-3 month resting period known as telogen. 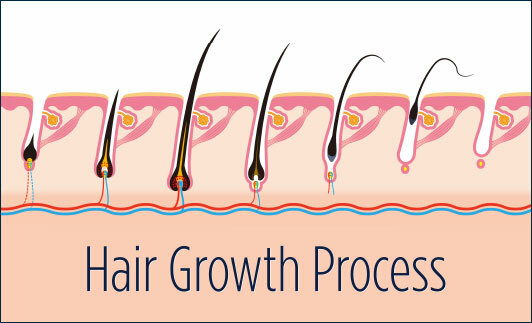 During this period shedding occurs resulting in new growth. When thinning occurs prolonged telogen, which is an extended resting state, can lead to permanent hair loss. 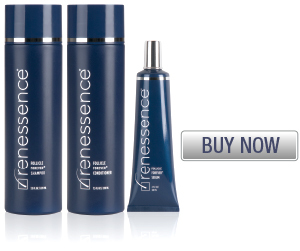 Renessence products ensure the growth phase is maintained with dormant and/or dying follicles resurrected for renewal. Our Biorenewal-Stem Cell-Complex addresses aging and thinning hair by resuscitating the follicles through stem cell stimulation; Capixyl™ blocks the effect of DHT and is a proven alternative to Minoxidil™; and Procapil™ increases blood stimulation to the scalp, producing healthier growing hair.